FRC or Fibre Reinforced Concrete has become rather popular in North America, Europe and parts of Japan and Australasia. In fact examples can be seen around the world. A polished or coloured concrete material used in conjunction with wood and metal to offer an alternative design idea for private and commercial environments. But what is it? FRC or fibre reinforced concrete is, as the name suggests, concrete containing fibrous material that substantially increases its core strength. Containing randomly orientated but evenly distributed natural fibres. Usually, in the product Larimar offers, these fibres are from the coconut husk or an otherwise wasted or discarded by-product of the coconut fruit itself. Coconut fibres have high tensile strength and mitigate cracking and degradation of the surface. We use other natural fibres too such as bamboo. Glass, steel or plastic fibres may also be used but are not quite so friendly to our planet. While using fibres inside the product may not overly strengthen the impact resistance of the material it will, as we have mentioned, significantly reduce cracking possibilities and reduce shrinkage both of which are considerations in environments where temperatures and humidity can change rather quickly. 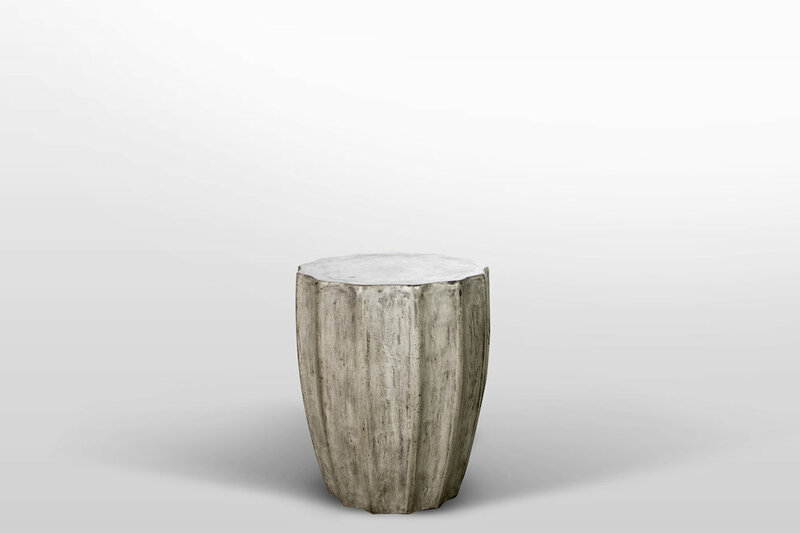 These materials have grown significantly in popularity and, when polished, are an attractive table top, chair, stool or table that will endure heavy use inside or out.